Get in touch with our 24/7 020 3404 0500 or utilize our online registration form here to receive a non-binding and free quote for our after builders cleaning service now! Any time you start looking for a trustworthy and very affordable after builders cleaning in Islington N, think of checking out our offers and ordering our after builders cleaning service! Our cleaning crew will show up after the builders are done. They are set up with a broad assortment of professional cleaning tools, devices and solutions. We have generated a specific after builders cleaning checklist, that is put into practice carefully by our cleaning technicians. All surface types will be dusted and washed, the flooring will be hoovered and washed, and we will get rid of all paint and plaster stains and splatters from any type of surface in your premises. We can offer bathroom and cooking area full cleaning, together with the all home appliances cleaning. If necessary, our cleaning technicians will clean your facade, such as: patios, driveways, paths, etc. 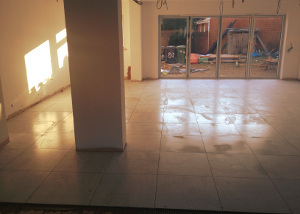 The after builders cleaning service will ensure that all harmful dust and debris is removed, so that it is safer to move in to live or work in the redesigned home immediately. We have been providing our household and business oriented customers in Islington N ever since 2005. Excellent Carpet Cleaning specialises in cleaning after builders. We have developed and applied strict quality and safety measures, as well as a detailed checklist for the after builders cleaning service we deliver. Our cleaners are all hand-picked, qualified and constantly examined if they meet up with our top quality and safety criteria. They are set up with most up to date professional cleaning equipment, resources and also safe and eco-friendly cleaning detergents. They will promptly and properly get rid of all dirt and filth left over from builders' task and renovators in your home. In just a few hrs, your home or company premise will be safer to live and work in yet again, with the help of our service. Scheduling our professional after builders cleaning service, is simple - all you need to do is make contact with our 24-7 client assistance service right away. Call up 020 3404 0500 or send us an online request here. You will then be sent reservation affirmation via text message and e-mail promptly. We are readily available for same day builders clean up, or you could book ahead, and choose any day of the calendar year. We are readily available the whole year. All of our services are completely covered by insurance. Unite the cleaning service after builders with 1 or more of our other services, and we will offer you discount rates of up to 15%. The more you order - the greater the price cut. And so, make sure your property is safer and ready to be inhabited once again following a renovation - book our after builders cleaning service now!